As a female traveler, I constantly find myself searching for the same information prior to a trip: what do I wear? The crux is this: what’s the appropriate travel style for the destination that I’m about to explore that will allow me to look decent in photos without being inappropriately dressed for the landscape and situation? There are cultural customs to keep in mind, climate, landscape and topography, general dressiness of a locale and practicality. Check out this guide on packing for Egypt – and other guides in this series – for packing inspiration. 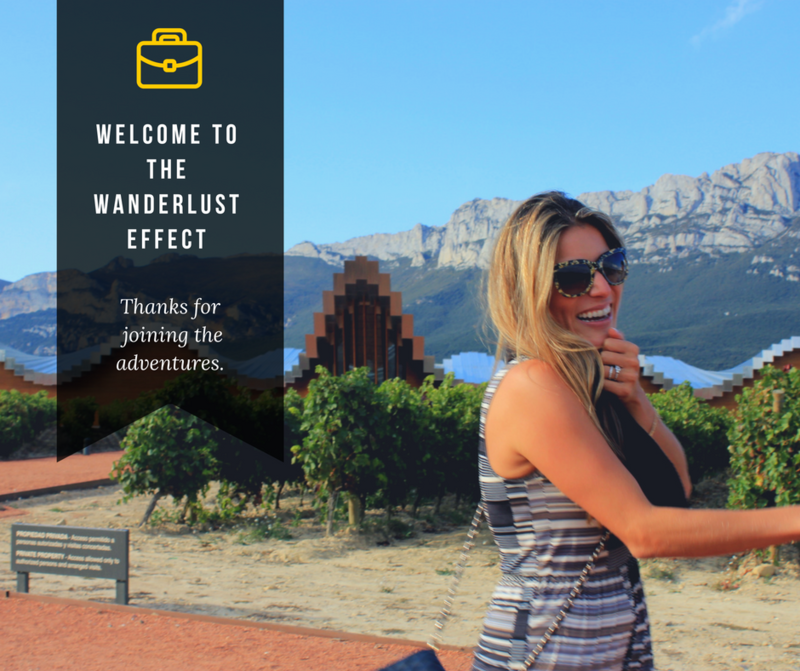 Join me in sharing your thoughts and tips for packing and travel fashion with a series of destinations around the globe. Download this quickie cheat sheet of travel style inspiration for Egypt, including some tips on highlights, where to dine, and what to do. Pin this guide for a quick reference on what to wear during your Middle Easter escape! Download the Egypt Travel Fashion Guide | The Wanderlust Effect for easy reading on iPad. A well-crafted trip to Egypt will likely have you coming face-to-face with the Great Pyramid of Giza near Cairo, the ancient burial tombs in Luxor’s Valley of the Kings, plus a slew of stunning well-preserved temples that will have you seriously feeling like you’ve time warped. Many visitors will tell you that Luxor, which is a larger tourist destination than Cairo, is a bit more lax with dress code. While that may be the case, in my opinion your attire throughout Egypt shouldn’t change much from one city to the next. Egypt is a predominantly Muslim country and female travelers in particular should exercise modesty when out in public, especially at religious sites. We saw travelers in tight tank tops and mini shorts, and while they were able to visit many areas, it felt wholly out of place and out of touch with the environment. We found Egyptian women themselves varied hugely in their coverage: some women were in full Western garb while others were fully covered. Many were somewhere in the middle with a hijab and conservative Western wear. For the most part, you won’t need to cover your head in temples or most tourist destinations. That said, Egypt is a sizzling destination, especially in the summer months. During our visit in early to mid-September we were met with temps in the 90s with no coverage from the sun. I would advise all travelers to bring a hat. Not only is it functional for sun protection, it masks a bad hair day in a snap. Sunglasses are a given, too, as you’ll have a hard time escaping the harsh sunlight by day. For attire, think lightweight materials that provide some coverage, including breezy button ups and comfy jumpsuits. I had a few sleeveless tops (not strappy tank tops, but sleeveless), and always toted a scarf to add some shoulder coverage when needed. Gauzy or lightweight pants work well, and maxi dresses and skirts are always great for enough coverage and a put-together look. I brought a pair of wedges, but wore them very rarely (maybe twice) during our two weeks. My sandals – in rose gold, linked below – are perfect for daytime exploration or dressing them up at night and I defaulted to them for the majority of our journey. Have you been to Egypt? What are your recommendations when packing for what to wear?